I recently received this in a swap with a lovely MUA . I have never used a NARS polish before and I am very impressed. 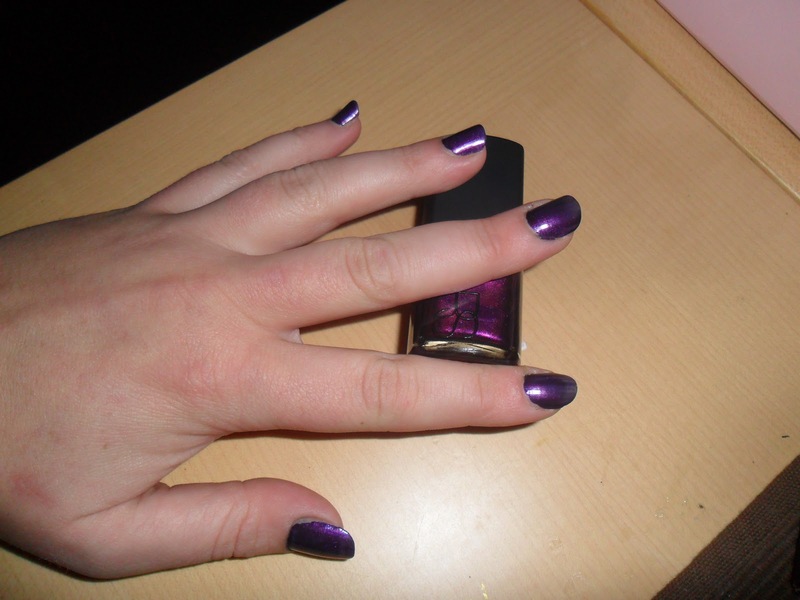 This is shade Purple Rain, and these pictures and taken after 1 COAT! I was very surprised at the excellent coverage. 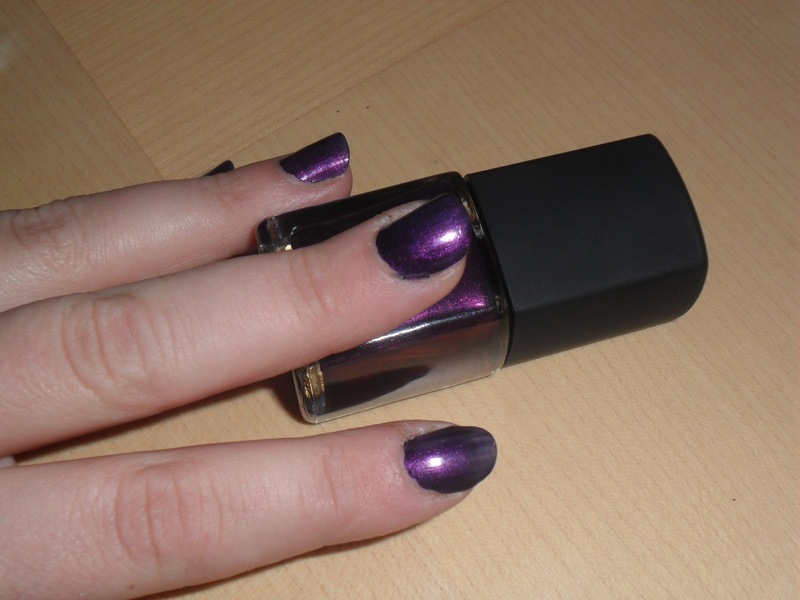 It is a deep lush purple with hints of gold glitter (very faint). 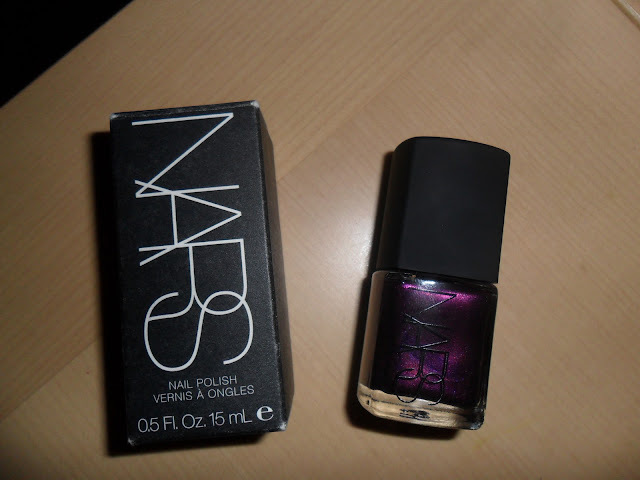 I would definitely buy from NARS polishes again! More polish to add to my 'wishlist'! !